Make your personal fashion statement with made in the USA jewelry! 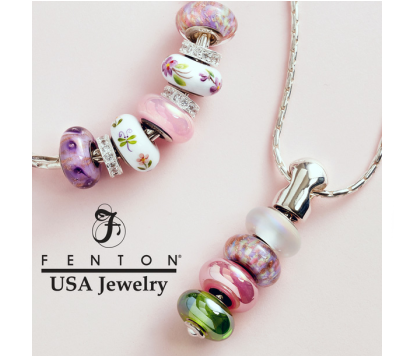 These unique jewelry fashion accessories require special skills from Fenton's team of talented bead makers. 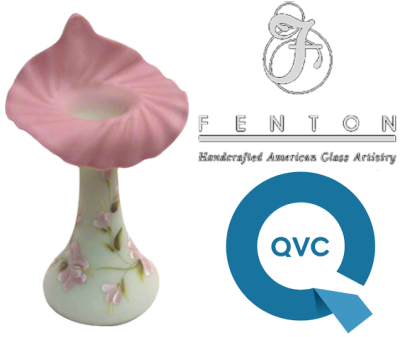 In 1988, Fenton appears on QVC with Bill Fenton as the first on-air guest. Later, on-air guests include other family members. 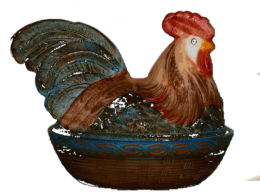 Fenton Gift Shop is pleased to offer a new selection of Limited Editions! Each piece features a design by Fenton's award-winning Fenton artists, and will be hand painted, signed, numbered, and dated by the artist. Included in this grouping are an 11" Opal Satin Alley Cat figurine and a 6" Owl figurine, made by our friends at Mosser Glass. Also included is a 10.75" Vase and aWitch Figurine handcrafted in Opal Satin. These Limited Editions were made exclusively for the Fenton Gift Shop, using a Fenton mould and then returned to the Fenton factory where Fenton's talented artists created these wonderful Limited Edition designs. 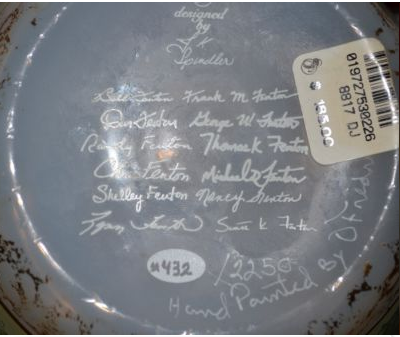 Learn how to determine which items listed for sale as Fenton in the online secondary market venues actually are authentic Fenton Art Glass. click here. This site is dedicated to the Fenton collector and maintained by fellow Fenton Fanatics. Founded in 1999 by John Gager with the help of many Fenton Fans, the purpose of the site continues to be a community portal for all things Fenton.